I guess the post title might seem attractive to a Potter fan. And who wouldn’t feel so. JK Rowling did weave a magical net which had all enclosed in it. The journey had been a pleasant one which had come to an end with the release of the HP and the Deathly Hallows-II. A memorable journey indeed. Keeping away the nostalgic recollections of HP journey let me get down to what this article is about. I have put down my thoughts on the learning from the movie i.e. few snippets of wisdom (if you can call it that way) or motivational stuff which I believe will inspire us to live a better life ourselves. Before I start, it goes without saying that you will appreciate the article much more if you had read the book or seen the movie ‘Harry Potter series’ or at least have an idea about what the series is about. Nevertheless, you can read the article and appreciate the lessons shared. Let’s begin. A Parent's true responsibility: Though Iam not qualified (yet) to make this judgment either by experience nor by credentials based on what the wise people have said, I can safely claim that the best thing parents can do for their children is to trust in them & allow them to make their own choices in life. In Harry Potter if you take the case of Frank & George, Hermione, their parents had given them the freedom of choosing what to become. In real life most of the times, Parents try to live their dreams though their children which is a good thing if the child also wants it. But if the child aspirations are different and if he is forced to live his parent dreams, then it only leaves the child living in a hopeless world inhibiting him to reach his truest potential. All a Parent can do is to convey to your children that you love them for what they are and no matter what happens, you will be for them. Hope; a light during dark times: In Harry Potter, many times Harry and his friends had no clue of how things will turn out yet they continued to go on by hoping for the best. 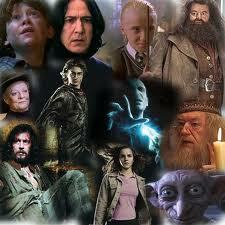 Instances like when Dumbledore being killed, Harry caught by Death eaters etc seemed like the end of the world for them. But they continued to persist to see circumstances change, new help arrive at the most uncertain times. Similarly in life, we may not know what may happen, how the future will turn out, but if we just continue to belief that the best will happen more often than not, things will turn out to be better. Hence, no matter how circumstances are in your life, Hope for the best and stand your ground. Love is the Ultimate power: In Harry Potter, the weapon which eventually kills Voldemort is his lack of understanding of the power of Love. It is the same thing which continued to save Harry Potter from Voldemort most of the times, the love of his mother for him, the love of Snape for his mother, Lily which led Snape to look out for Harry and love of his teachers & friends for him. In real life, the solution to most of our problems is to understand the true power of Love. As someone said, Love can move mountains and any obstacles. Hence, it will do us well to remember that as long as we share, embrace and exchange Love with everyone around us, we will continue to live in harmony and continue to evolve to higher states of being. 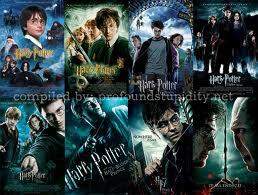 That’s just few of the learning I had from the Harry Potter saga which I hope were useful to you. I would love to hear your own lessons from the movie. the star sign for harry is leo! i accept with the fact that we need to respect every individula for what they are though most of the time we get carried by their power.thanks for the wonderful lessons. The first one really struck a cord - One meeting his fate in the path one takes to avoid it. I think the very reason why prophesies and sooth sayers exist is to divert people towards their fate! PS: I have not watched any of the HP Movies, so I don't know much about them.